In the summer of 1984, as my fiancé, James Greene and I made preparations for our upcoming wedding, he was involved in a production of Samuel Beckett’s Endgame. It was produced in a small, off off Broadway theatre, The Harold Clurman Theatre, on 42nd St. west of 8th Avenue, and he was playing the role of Nagg. He had elaborate white chalky makeup to disguise his youthful 57-year-old features, and wore a jaunty night cap atop his head as he emerged from the ash can down stage right. His entrances were throughout the play, but he was able to retire to the comfort of his dressing room in between his perches, due to the escape stairs under his and Nell’s barrels. During the wedding week, when family were beginning to gather for our nuptuals, Jimmie showed his thoughtfulness when, on the evening that my Grandmother was coming to see the play, he moved quickly from his dressing table, where he sat, dabbing on his white makeup to across the street from the theatre at the West Bank Café, where he knew that my Grandmother Betsey, my father and his wife, Joan, and I were all eating a pre-performance dinner. Horrified that she might “meet him” for the first time when he emerged from his barrel as an 80-year-old man, he had quickly scrubbed off his makeup and run across the street to shake hands with her. For the rest of her life, she always remarked about how thoughtful that had been of him. Standing under the sign for the Peace Forest, where the Endgame company planted trees in Alan Schneider’s memory. The Cultural Center in Jerusalem where Endgame was performed in 1985. 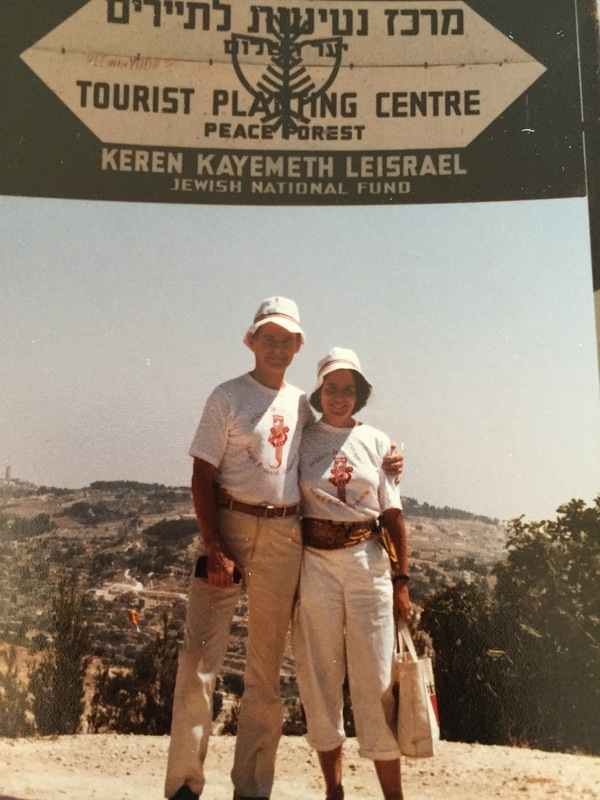 The following year, in June of 1985, the production was invited to perform at the Jerusalem Theatre Festival. The production was supposed to have been directed by veteran theatre director, Alan Schneider, but he had been killed in May the previous year, while, looking the wrong way while crossing the street in London, apparently on his way to mailing a letter to Samuel Beckett. The festival participants in Jerusalem went to a hillside, where we planted trees in Alan’s memory, prior to their performing Endgame for the first time. Jimmie and I both wore goofy white tennis hats acquired at the airport to ward off the sun while we planted the trees. A dramatic photo of Jimmie taken backstage at the Gerald Behar Center. The festival performances of Endgame took place in the Gerard Behar Centre, where Adolph Eichmann was tried and convicted; there, the historic status of the building and the location of the barrels down stage right where Eichmann’s glass booth had been precluded a trap door to the basement. Jimmie and Alice crouched heroically for 90 minutes, clutching onto small metal handles attached to the sides of the barrels. Jimmie was still a runner at the time, so this did not pose the perils it would if he were asked to do the same today. 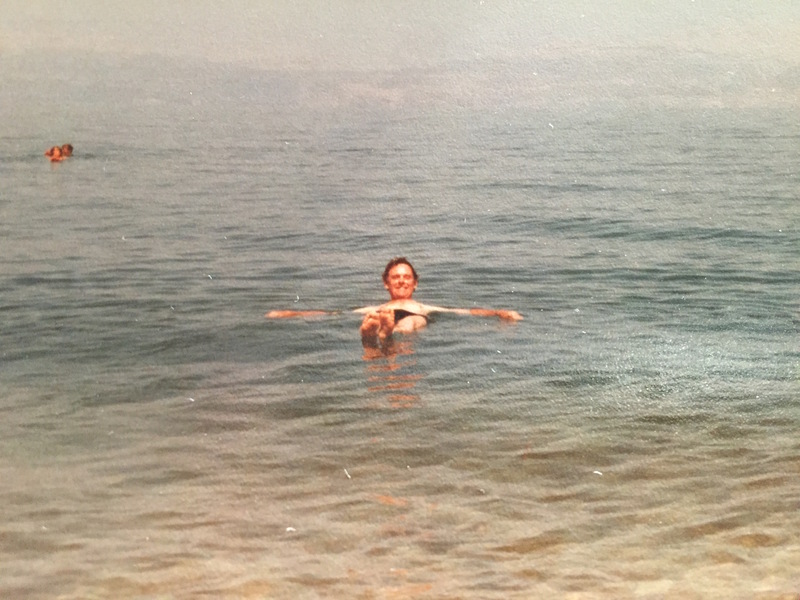 Jimmie floating in the Dead Sea, blissfully unaware that he had just lost his wedding ring. Did you take off your wedding ring? Jimmie looked down at his hand in horror and the day was ruined, as we realized his ring had fallen to the bottom of the Dead Sea. This did not seem the least bit auspicious for the newlywed couple that we were, but we returned to New York and went back to the jewelry store to replace it. 31 years later, we’re still going strong, so I guess we survived the incident. Alan Mandell, the director and Hamm of the upcoming Kirk Douglas Production of Endgame, called us several weeks ago, to see if Jimmie might consider standing by for actor Rick Cluchey, in the upcoming production. Alan was being cautious, he had spoken earlier that evening with a very weak Cluchey; he called to see if Jimmie might be interested. Jimmie considered the offer carefully, and when he called Alan the next morning at 10:00AM to accept, learned from a shaken Alan that Rick had passed away the night before shortly after Jimmie and Alan had hung up. Alan then offered Jimmie the role of Nagg. Jimmie accepted. Just last week it was made official. He is so pleased, but regretful he it was due to another actor’s death. Jason Wingreen, b. October 9, 1920, d. December 25, 2015. All of us in the theatre have had several weeks of terrible loss, losing such theatrical giants as Rick Cluchey, Brian Bedford, Alan Rickman, David Margulies, and our dear friend Jason Wingreen. Jason, whom I wrote about in a previous post, passed away quietly in his sleep on December 25, 2015 at about 11:00PM. The ideal way to go, if there is one, at the ripe age of 95, at home, having bid his son good-bye, and quietly without pain. We should all be so lucky. There is a strange limbo period between the time that an actor dies and the world learns of it. It was strange in the ensuing weeks, until the obituaries of Jason and Rick began to appear; for those few days the news had not hit the internet yet. It was almost as though they were still alive. A Google search still listed them in the present tense. Earlier this week my friend Lynn Johnson Minney, with whom I had stage managed a production of “Camping with Henry and Tom” at the Pasadena Playhouse called to tell us that she and her husband and daughter were going to be in LA, and she wanted to get together. It never occurred to me until much later in the week that she was coming to attend Rick’s celebration of life, until I remembered that she had stage managed a production of Krapp’s Last Tape also 20 years or so ago. She had met Cluchey when she was in her early 20s and had worked on numerous productions with him. It is startling sometimes how concentrically our lives revolve around each other. I thought of Lynn this morning as I did my yoga practice, because she practiced Bikram yoga when we worked together those many years ago, and frankly, I thought she was crazy. 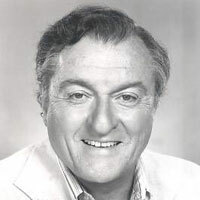 Other circles – Jimmie worked for months with Brian Bedford at The Phoenix Repertory Theatre, in the 1971 production of “The School for Wives,”which began at the Lyceum Theatre in NY before touring to San Francisco, Los Angeles and Chicago. David Margulies had been in “The Days and Nights of Molly Dodd” with Jimmie, and I had worked with him on “Conversations with My Father.” That’s how it works in the theatre – we drive around in our little artistic bumper cars, careening off and then back together. You never know when you will reunite with a former colleague and friend, but you know that when you do, for good or for bad, you have a deep connection. Our work is so intimate that it begets connections that are significant. Who are the Stage Managers? They will need to have a special understanding of the needs and niceties for aging actors. They will be so comfortable they will want to move in! Would you mind cueing me? I think I’m ready to give it a shot. We have shared that moment so many times in our lives together, and Jimmie has practiced it for decades before we ever met. I don’t think either of us thought we would experience that again. I am so thrilled for Jimmie with this opportunity. He is so ready and willing to get back on the boards, back in the can, back in the saddle, whatever the lame metaphor I choose. He is, after all, my Nagg. Beautiful post, Els! And so glad John Iacovelli will be seeing to the actors’ comfort! That’s one of your most beautiful entries, Els. Thanks for a wonderful read. Thanks so much, Rich! Hope to see you when you come out to LA! Oh – and how silly of me to omit my tremendous respect for Jimmie, revisiting this role after so many years. Congratulations, Mr. Greene. Previous PostPrevious Birthday Challenge & I Need Your Help!